I was fortunate to attend two of the biggest tech conferences last year (CES in Las Vegas and MWC in Barcelona), and I’m still hot on finding the best tech items around. I can’t think of a type of tech product that are more universally appreciated than speakers. They transcend every age group and are really appreciated by those with tons of tech knowledge and those who know very little. That’s not surprising since everybody loves music. 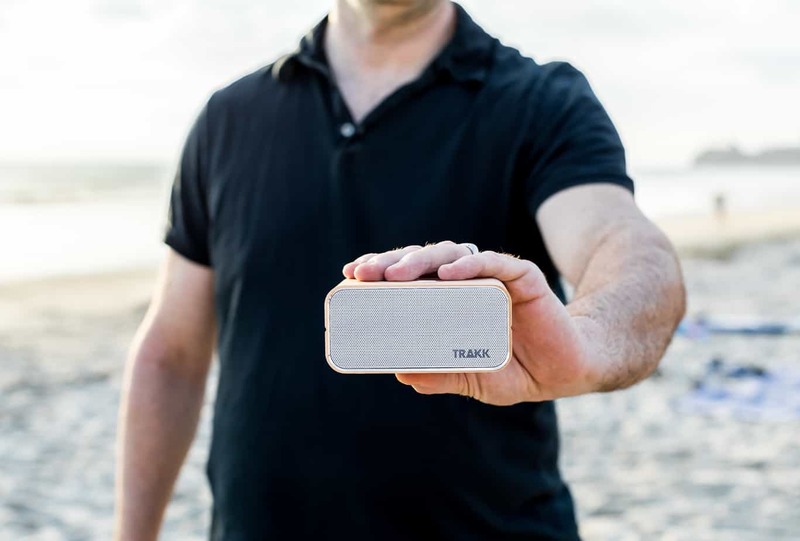 A great speaker paves the way for high quality tunage to be enjoyed in countless places, so whether you’re someone that wants to rock out to country music on your boat, crank out rock and hip-hop at a party, or playing relaxing music alongside them on their yoga mat (or all three), then a great portable speaker should be on your radar. 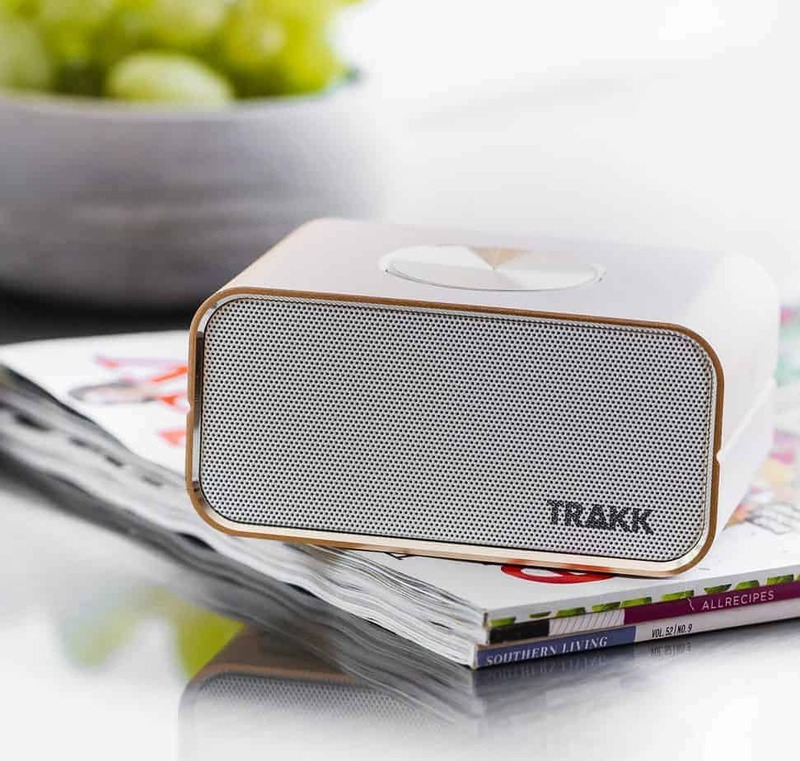 Trakk’s CEO wireless portable speaker is the latest tech product I got to try out and it is BANGING! The first thing noticed upon unboxing it is the color (here it is in gold which I’m always partial to in electronics… just gorgeous:). The overall design is simplistic and sleek. The minimalist trend of less is more, especially when it comes to buttons is something I’m a fan of and TRAKK has mastered. The next thing that I noticed was that it easily paired to my phone via Bluetooth with no issue. It can do the same for a tablet, and the range seemed good when we tested it out at the beach (specs on it say “long distance nfc Bluetooth 4.0 Technology + auto connect memory). The sound that TRAKK CEO puts out is powerful yet clear. It has better sound than some that are 3 times as expensive and 3 times bigger (i.e. less portable). This fit nicely in my purse and I didn’t have to worry about it getting scratched up with its carrying case. I usually test out speakers with some electronica music as that seems to have the biggest range of highs and lows with tons of bass and I didn’t hear any distortion or signs of being overpowered. One last feature of the TRAKK CEO is that it is designed with a 5200mah battery that can give a full 24 hours of play time! Imagine the worry-free possibilities that opens! It seems like just a few years back a couple of hours was the norm, and now brands like TRAKK are shaking up and absolutely destroying that. The product feels rock solid, and again the sound output is phenomenal, yet the price-point is shockingly low. With those factors in-mind I wouldn’t be surprised if you buy a second one. 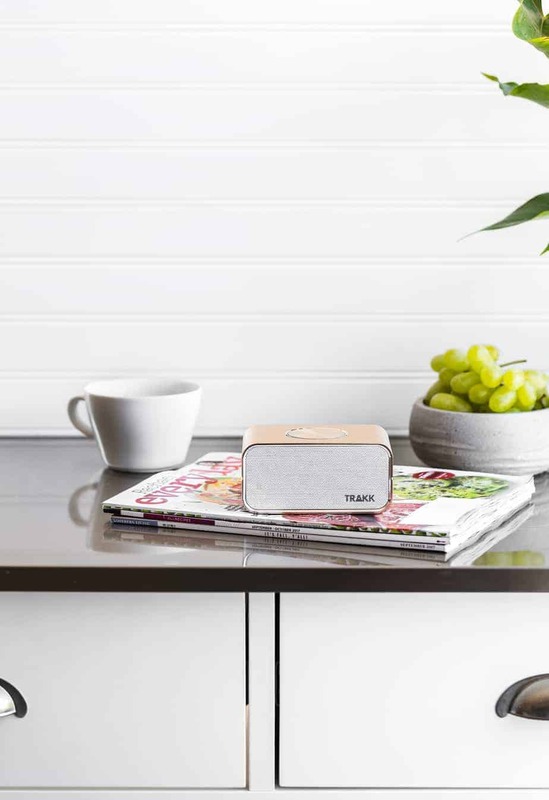 This looks and sounds like a great quality wireless speaker. I LOVE the gold color and it’s a great size, as you say it fits nicely in your purse which is something I really like. I really like to listen to audio books while driving and while relaxing in the tub and this would be a great speaker for that purpose. 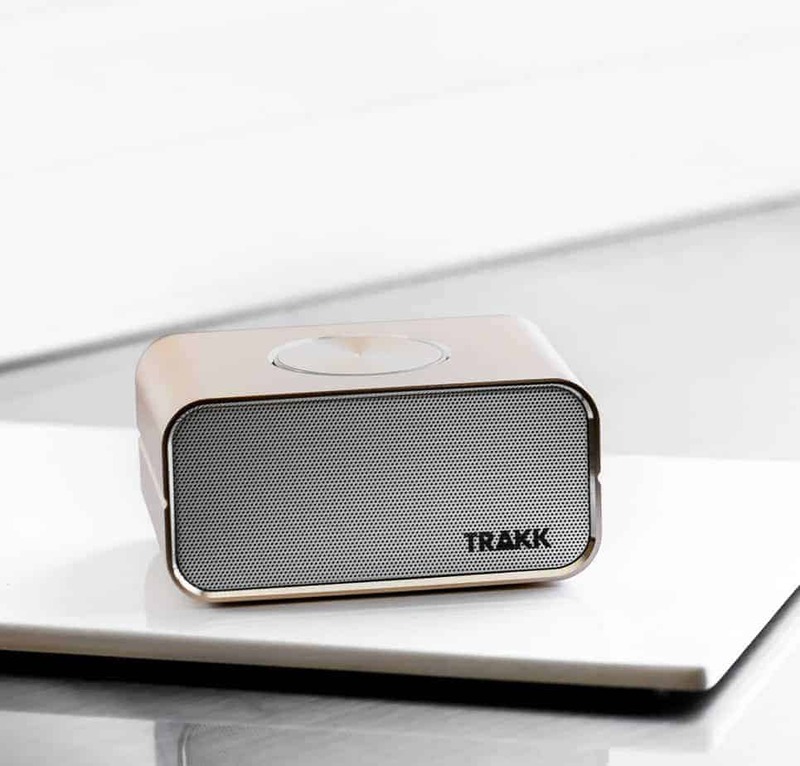 The Trakk CEO Portable Speaker sounds exactly like what my son wants. I love that it reaches a good distance this is important to him as he moves room to room. The playing time is what blows me away. He asked for a four hour play time, but 24 he will be thrilled! I love that gold one. I need a new speaker for my desktop and this is definitely one to consider. That track CEO portable speaker sounds that like I want. This is very handy, I really like the gold one. I love portable speakers! 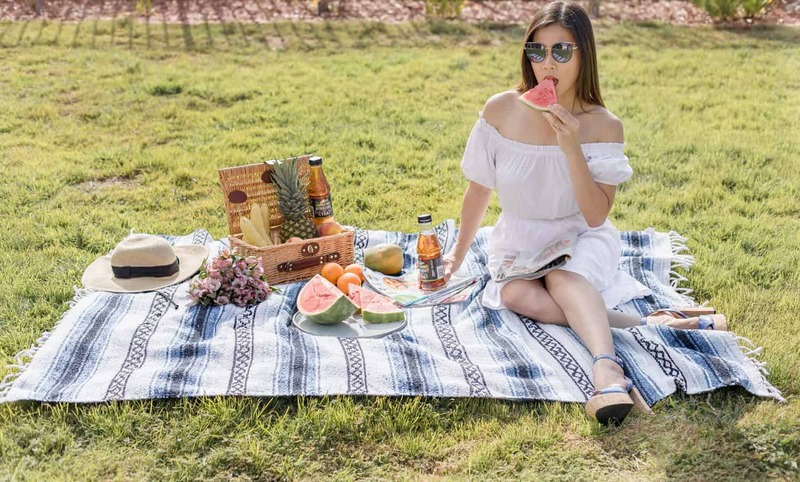 We love hanging out at the park with ours, this looks like a really sweet speaker! What a fun way to bring music everywhere! Loving the design and it is so portable. Thanks for your honest review. This would make for a nice gift for the music lover in the family. Love the gold color. That looks really stylish! For someone who loves listening to music throughout the day, the value of great speakers mean a lot to me. Poor sound quality kills great music. Will check these out.